￼Sgt. 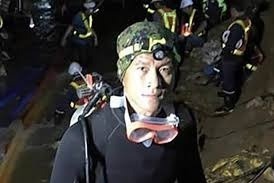 Saman Gunan / Kunan / Guana (real name was confirmed with Mrs. Gunan) was a hero who stepped up to volunteer his help in order to rescue the 12 students and their coach who were trapped in a cave. He ran out of oxygen during his efforts and died. My name is Jon Cole and I’m the founder and CEO of Texas Disasters Inc. This campaign came about after a friend posted a request on LinkedIn asking for help. He had been asked by a good friend, Tim Acton to help collect needed funds for the family of Sgt. Gunan. Mr. Acton was one of the some 40 divers that helped rescue the 13 people trapped inside the cave and has provided me with Mrs. Gunan’s banking information for making sure any donations will get to Mr. Gunan’s family. Since GoFundMe prohibits non-US citizens from withdrawing funds, we’ll be withdrawing the funds and depositing them into our corporate account and then transferring them to Mrs. Gunan. Sgt. Gunan is a hero that is survived by his family. While we will never be able to repay Sgt. 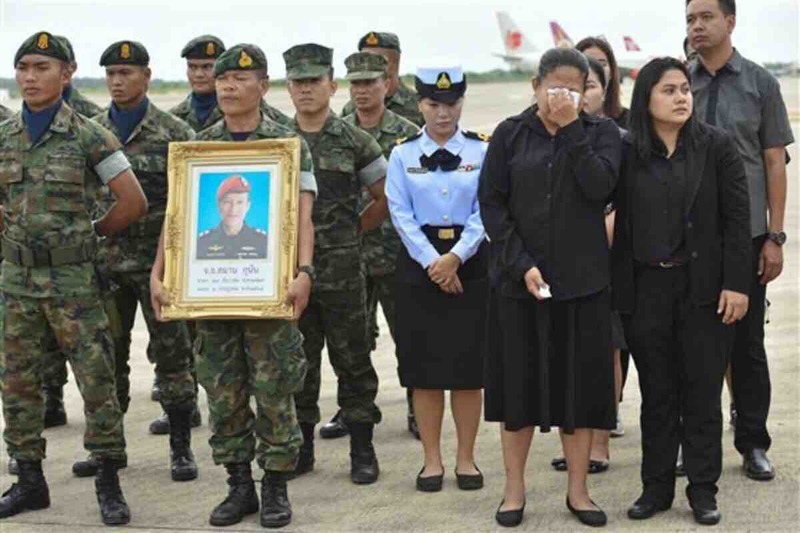 Gunan for his sacrifice, we can show gratitude and make it a little easier on his family in their time of mourning. We can come together as a community and help his family out for the rest of their lives. Why do we even care, you might ask. Volunteers are the life blood of Texas Disasters. We believe that any community can come together in any crisis. And when someone who volunteers has their life taken while trying to help someone, we want to help them. This particular story struck a strong cord with us, and we'd like to do all that we can to help Mr. Gunan's family. Want to know more about Texas Disasters? Texas Disasters’ mission is to connect the people of this world to a single platform which has the tools, plan’s and people in place to more efficiently manage major emergency situations. It's a civilian operated emergency management system, built on a social network platform designed by first responders and civilians to organize information and help facilitate public coordination, commerce and interaction during emergencies. Making sure your gift goes to the right person. P.s. At Texas Disasters Inc, we are very concerned with the transparency of donations and gifts. As a matter of fact, it's one of our primary mission's to increase donation transparency and efficiency. We want to make sure that all funds given through this campaign (minus GoFundMe's fees) are received by the intended recipient. GoFundMe has the same concerns. So please, rest assured, any money received from this campaign is going to the family of the deceased, Sgt. Saman Gunan, the kind hero who gave his life so that others may live. Here is a snippet from GoFundMe's website which explains this. "Every day, thousands of people get the help they need from generous donors. Our team of specialists work night and day to make sure that funds get to the intended recipient, every time. If funds aren’t delivered to the right person, we will donate the missing amount." Day 3 of our free flag contest is going great. We’re in the #news! Thank you all for your support and kindness. Keep spreading the word. I love you. Day 1 of #fivedaysoffreegiveaways! I’ll be giving this #USArmy flag to one lucky winner. This double sided embroidered, high quality 3x5 flag retails for about $35. All you have to do is like this post and comment on this thread. And while not mandatory, it would be great if you all could follow our company page, Texas Disasters Inc. Bonus points if you share this post with your #network. This is my way of saying thank you to all the great men and woman of our #ArmedForces. I’m also trying to raise awareness to a really good cause. 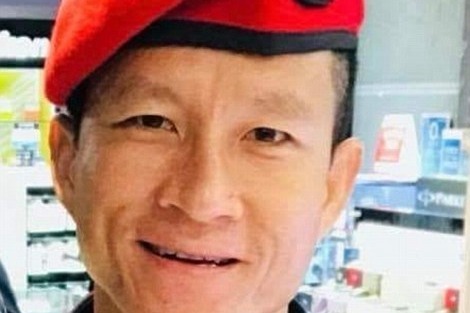 A group of us, including Tim Acton, (one of the retired Seals who volunteered to help the people out of the cave in Thailand) have come together to raise money for the family of Saman Gunan. Sgt. Gunan died after running out of oxygen while #volunteering his help to save the 13 people trapped in the cave. I’ll leave a link to the campaign in the comments.